Here at la Catrina you will have the opportunity to enjoy a roof terrace, and big common gran area. 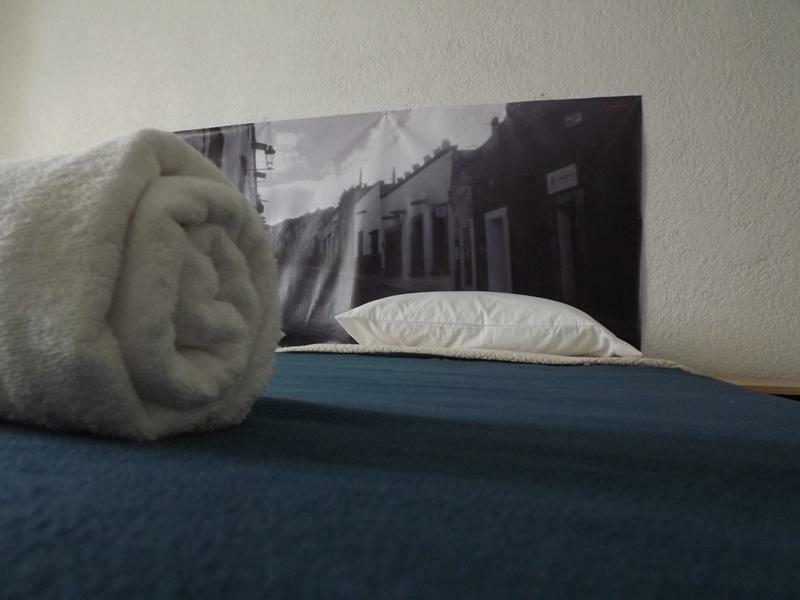 WIFI, LED TV & Cable, kitchen and business area available. Allende. Visa & Mastercard are welcome. 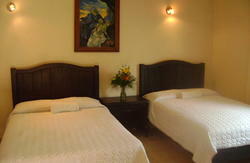 We offer you accommodations in private rooms and and dorms. From the main square (El Jardin principal around 7 minutes walk. From La Parroquia, cross the Jardin and take Calle Reloj which is on your right, and follow that until you reach Calle Insurgentes, (2 blocks). Turn right on Insurgentes, go one block and turn left on Calle Loreto. You will find us 2 minutes after the crafts and artisans’ market, on your left hand side, in number 80, near the corner of Calzada de la Luz. If you are coming by bus, you will get to the Central de Autobuses of San Miguel. From there, go out front to catch a local bus to the “Centro” (costing less than $10 pesos) Ask the driver to stop at the Oratorio Church (Iglesia del Oratorio) on Calle Insurgentes. Then cross the street going north to Calle Loreto. 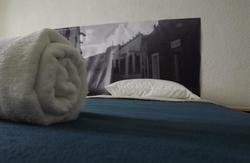 Walk north to La Catrina hostel #80, near corner of Calzada de la Luz.